Corey Lincoln was born and raised in the state of Wyoming and had exposure to the outdoors from his father at a young age. Some of Corey’s greatest memories include fishing small mountain creeks and ponds with his father. Before Corey moved to Casper Wyoming he spent many summers traveling across the country looking for incredible places to fly fish. Corey has fished rivers and streams all over Wyoming, Colorado, Montana, Idaho, and even many states in the North East. Corey is a fantastic fishing guide located in Casper Wyoming. Corey guides the Grey Reef, Miracle Mile, Fremont Canyon, and Big Horn Rivers. Corey strives to give a very unique and productive day on the water. 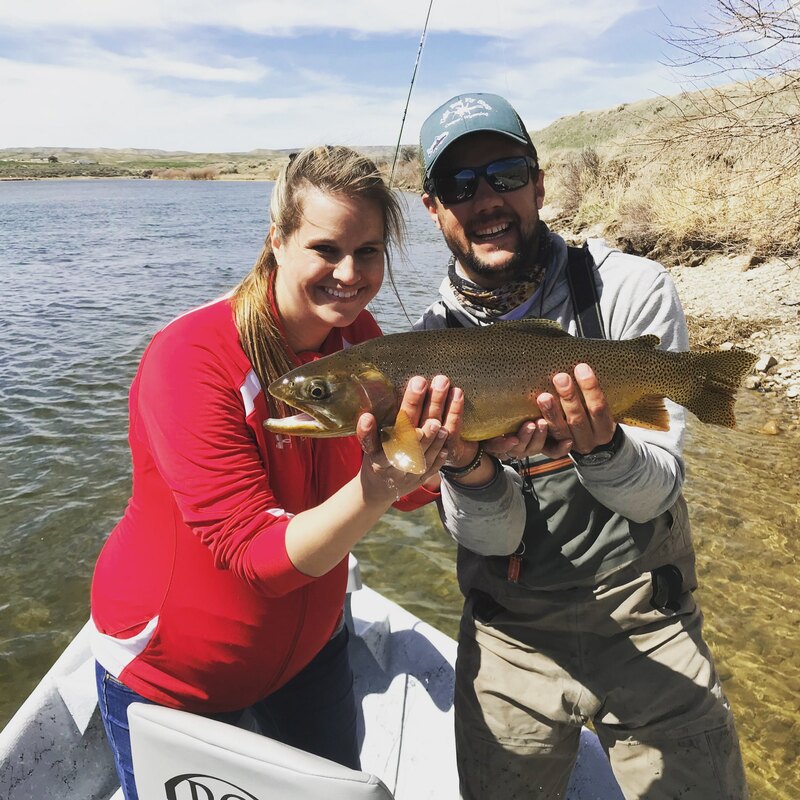 He loves to connect with people and really show them his passion for the North Platte River and fly fishing in general. When Corey is not on the water guiding you can find him in the fly shop chatting with customers and clients about Fly Fishing and Fly Tying. Corey is a very passionate fly tier and spends an immense amount of time spinning up new bugs and streamers. At home Corey spends most of time with his girlfriend Sarah and his two dogs Lanny and Jackson.